The Dehydrator Bible Book Review – What’s Missing? As you know that the dehydrating food is one of the ancient and best methods to preserve food for a longer period and it becomes easier with the help of the cookbooks. There are so many cookbooks in the market which guide us about the different recipes of cooking the dried food in the delicious ways and one of them is "The Dehydrator Bible Book." Such type of books not only provides some different recipes but also tell us the perfect ways of drying the food. In the below article, we will do the “dehydrator bible book review” so that you get more familiar with the information given in the book and can decide about buying this book for yourself. Are you fond of making some lip-smacking healthy dishes with the help of a food dehydrator? 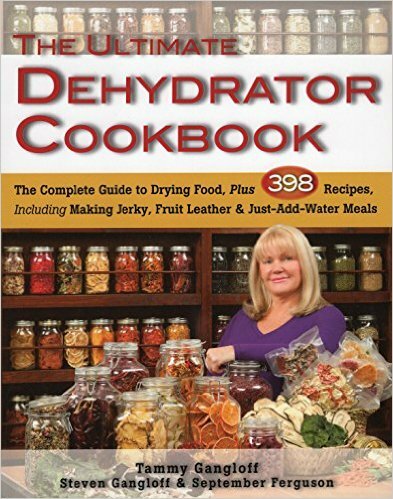 If yes, then it’s good to have a real food dehydrator cookbook at your home. Such books can browse very effortlessly while sitting on the couch of your home or the patio. ​The dehydrator cookbooks also carry some weight which makes it easier to handle in the kitchen which is not possible in the case of booklets or computer printouts. There are several numbers of dehydrator cookbooks which are available in the market or the online shopping websites. You have to make an appropriate choice from them.